Shopping | …More Than Odd Socks! L’F unisex: original and italian… what else? The Made in Italy can be also young, fresh, fancy and above all indipendent. A couple of young designer – Licia Florio and Francio Ferrari – launched a collection of unique and unisex shoes, which had become their signature giving them recognitions and success. And you? What are you waiting for? Jbag: definitely I need one! For all those living in the North (like me!) where backpacks are a must have: finally we can find the way to being out of the box even wearing our favourite bags! 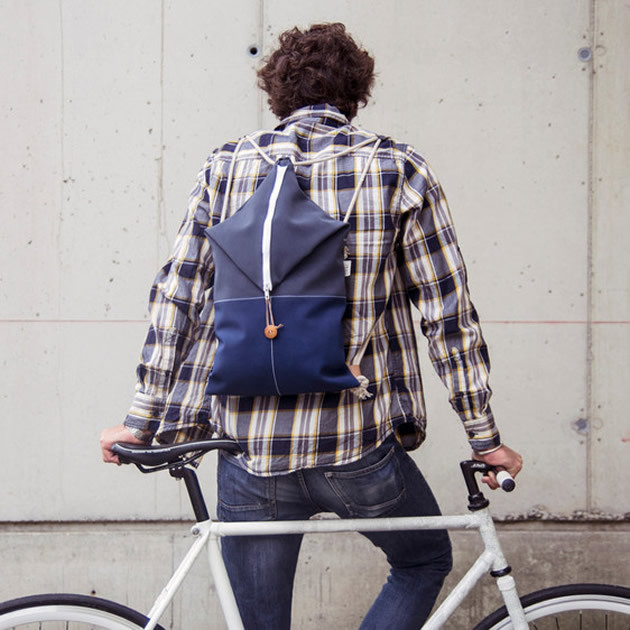 An italian duo of designers made this backpack giving a special attention to details, materials (it’s fully realized with eco leather) and design of this unique accessory based on the shape of a teabag or maybe the idea of origami. Oybō is an Italian young brand, founded in 2011 by two designers Lionello Borean and Eusebia Berlaud. The brand was presented during the last edition of Pitti Uomo in Florence, showing both old and new collections made of untuned socks: “One pair, two souls”. 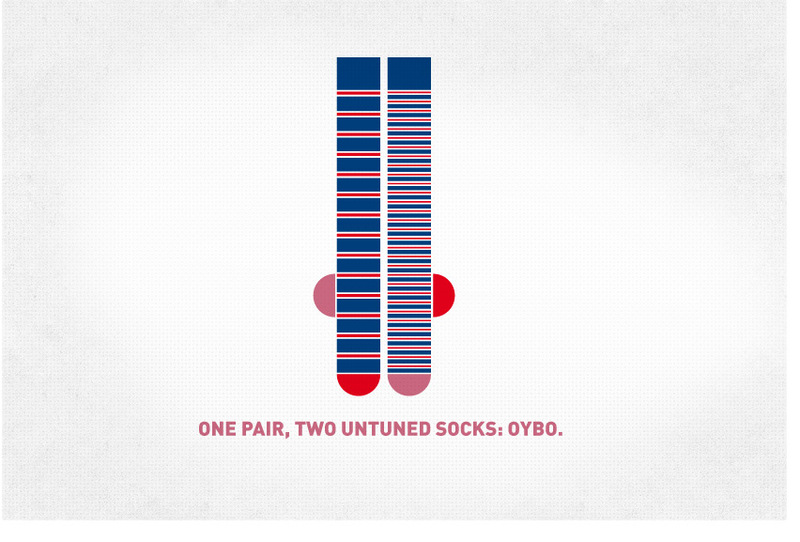 Oybō is epecially thought for men, but odd socks are not made only for boys! The brand is particulary popular in North Europe and Canada and now is conquering the US market as well. Oybō è un giovane brand italiano, fondato nel 2011 dai designer Lionello Borean e Eusebia Berlaud. Il brand è stato presentato durante l’ultima edizione di Pitti Uomo a Firenze, dove sono state ammirate sia le vecchie che le nuove collezioni di calzini stonati e spaiati: “One pair, two souls”. Oybō è pensato soprattutto per l’abbigliamento maschile, ma i calzini non sono fatti solo per i maschietti! Il brand ha avuto successo soprattutto in Nord Europa e Canada, ma adesso sta conquistando anche il mercato statunitense. 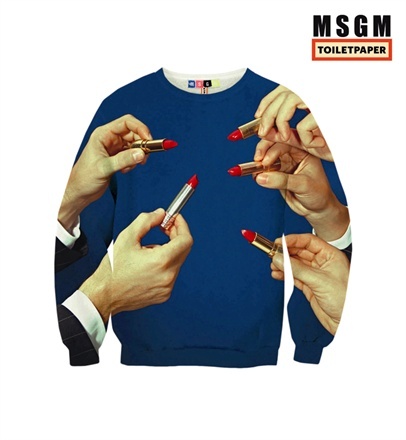 Another collaboration between designers and artists: Massimo Giorgietti (designer at MSGM) and the celebrated concepltual artist Maurizio Cattelan created a Limited Collection made of surreal sweatshirts. 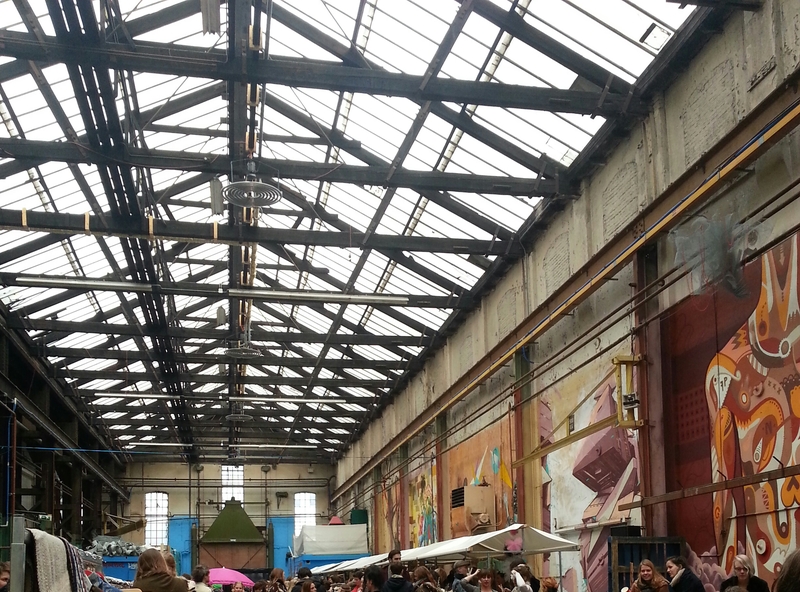 The ten items will be presented at the event Milano Moda Uomo, June 22/26. Ancora un’altra collaborazione tra artisti e designer: Massimo Giorgetti (designer di MSGM) e il pluricelebrato Maurizio Cattelan hanno realizzato una Collezione Limitata di dieci felpe dai temi surreali. La collezione sarà presentata durante la settimana della moda maschile Milano Moda Uomo, dal 22 al 26 Giugno.